Australia can be an expensive place to eat – especially if you would like to eat healthily! 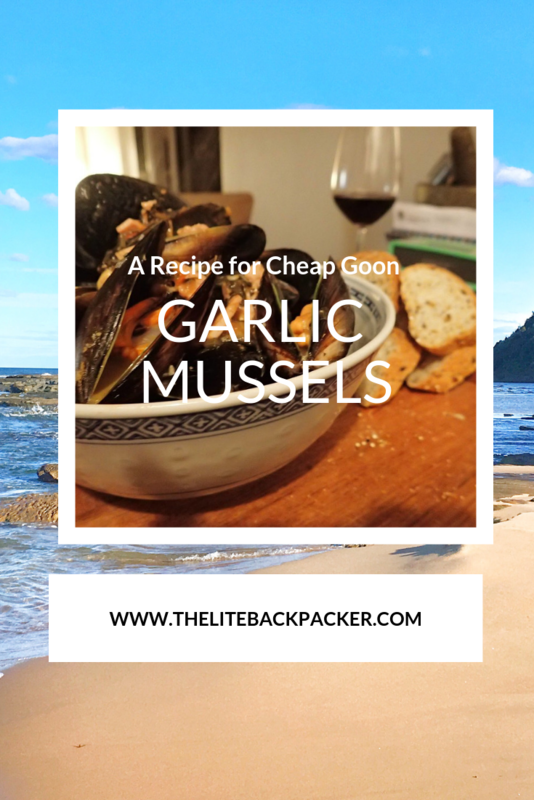 If you are backpacking the east coast of Australia, I bet you generally live off 2-minute noodles and goon (a sack of cheap dirty wine). Occasionally you may branch out and get a meat pie from the 7-Eleven or gorge on McDonald’s, but anything resembling a vegetable has been long since forgotten. I get it. 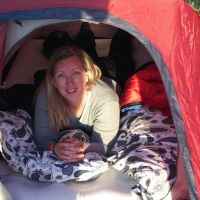 It’s generally more expensive – and difficult to eat good, healthy food in backpacker prices in Australia. For a country that loves healthy eating, it can be surprisingly expensive to do so. Here is a quick and very easy healthy travel recipe that you can throw together in your hostel. It combines all of the important things that I believe need to be in a good dish. Affordability, it’s simple and it contains goon. What more could you want? The below is best for 2 STARVING people or 4 peckish people and I suggest splitting the costs accordingly. 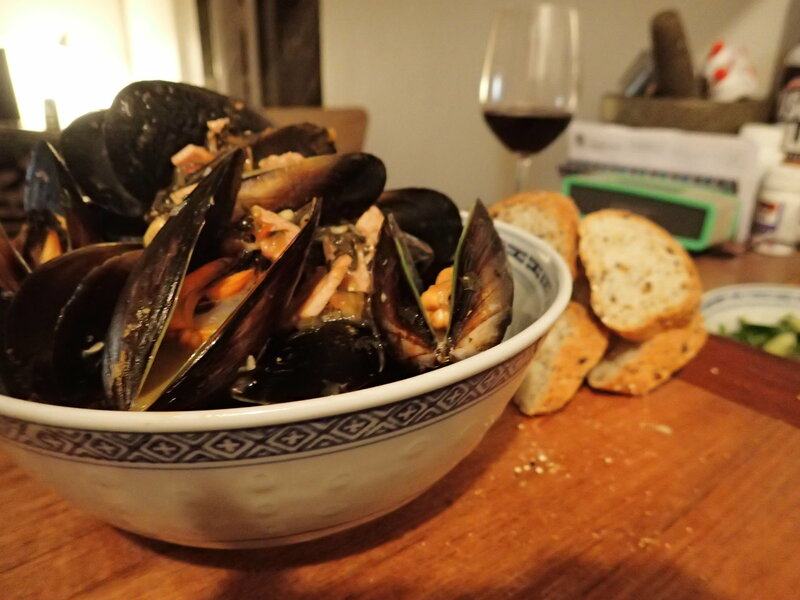 If you like this recipe make sure you check out my French Provincial Mussels recipe for a slightly different spin. Basically, you can whip this up anywhere in the world that you can find delicious fresh mussels. 2/3 garlic cloves - $2 if you don’t already have a garlic bunch, garlic will always be used! Clean your mussels and pull out their beards. Basically the seaweedy thing that is hanging out of them, just give it a good yank and throw it away. I like to give them a bit of a scrub as well to get off any of the grit and dirt. Also chuck out any that have been crushed or cracked. In the large pan/pot heat some oil (most hostels have oil on hand, but as a backup I often keep those little butter packages you get when you have toast for breakfast out – great oil substitute) on a medium heat. Throw in the onion and garlic and move around until tender and fragrant. Add in the tin of tomatoes and about a table spoon of water. Add in the chopped basil and season to taste – I like adding in loads of black pepper. Bring to the boil and then reduce the heat so that it simmers. Leave for about two minutes or until the sauce is starting to thicken. The next part should happen quickly, so get everything in place before you go. Return pan to a medium heat. 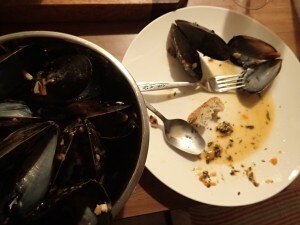 Throw in the mussels and make sure they are spread out. Pour in about a cup of your cheap white wine – it will steam up quickly so put the lid on. Leave to steam for about 2 minutes. After 2 minutes check to see if all of the mussels have opened, if not stir them and then put the lid back on for another minute. Serve in a large bowl with the crusty bread on the side, make sure you are generous with the sauce for dipping! A large pan or pot – if it doesn’t have a lid you can improvise one with either tin foil or a clean tea towel – or I often use a baking tray. Anything that will cover the top and keep the steam in. Total Cost (including cost of cheap wine – which you should drink after using a slurp for cooking): $23.73 split between two people is $11.80 each! Which is the same price as McDonalds and a glass of wine! And an excellent recipe too. Sharing!